Not knowing where the other spouse lives can make getting a divorce difficult, but still possible. The court will require the petitioning spouse to take extra steps before granting the divorce. Once those steps have been completed, the court may grant the divorce even in cases where the other spouse cannot be found. 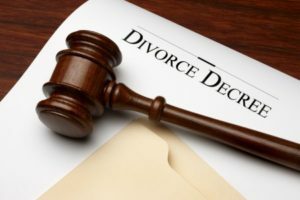 The process of filing for a divorce normally begins with one spouse filing the necessary paperwork with his or her county clerk, often with the assistance of a family law attorney. The next step is to serve the other spouse with the divorce petition and a summons for court. This is usually done by a process server or other third party. But the process will hit a roadblock if the spouse cannot be found. A family law attorney working on the case may employ trade secrets to attempt to find the missing spouse. It may be recommended that a private investigator is hired to assist with the search. The search process should be documented because this will serve as evidence that all attempts have been made in trying to locate the spouse. If the spouse cannot be located, the next step is to go to court and file a Motion to Serve by Publication. Once the motion has been granted by the court, the divorce filer can serve the other spouse by posting a public notice in a local newspaper or by posting a public notice in a designated area of the courthouse. If the spouse is not found, the petitioner may move forward with the divorce by filing a Motion for Default. By doing so, divorce proceedings can continue, and the filing party might be granted what was originally requested in the initial filing.